BETHPAGE, N.Y., Feb. 27, 2012 -- Northrop Grumman Corporation (NYSE:NOC) has commenced flight tests of the first developmental multifunction active sensor (MFAS) radar destined for the U.S. Navy's MQ-4C Broad Area Maritime Surveillance Unmanned Aircraft System (BAMS UAS). 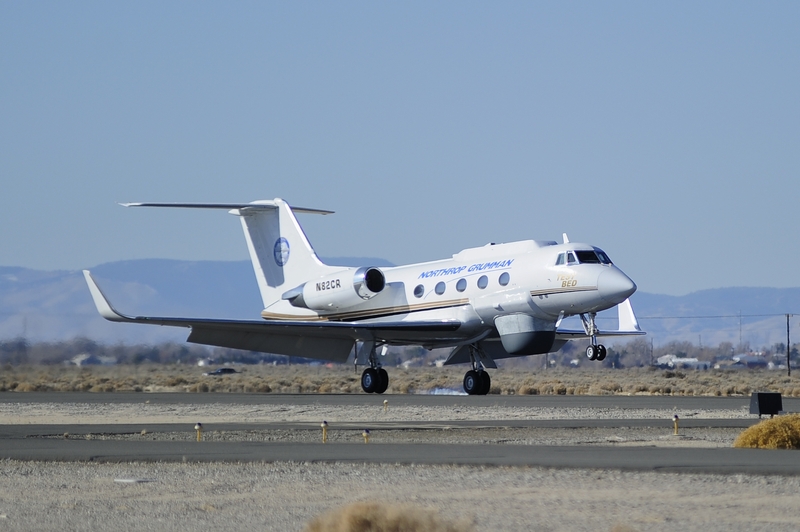 The MFAS sensor has been integrated into the company's Gulfstream II testbed aircraft based in Palmdale, Calif., for flight testing after having completed ground station testing in late November at the company's Electronics Systems facility in Norwalk, Conn. 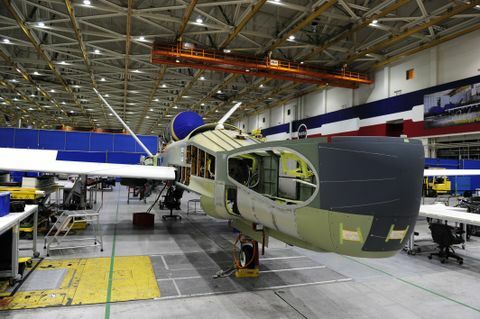 Marking another milestone, the first BAMS aircraft has received its wings and is standing on its own gear at the company's Palmdale Manufacturing Center in California. 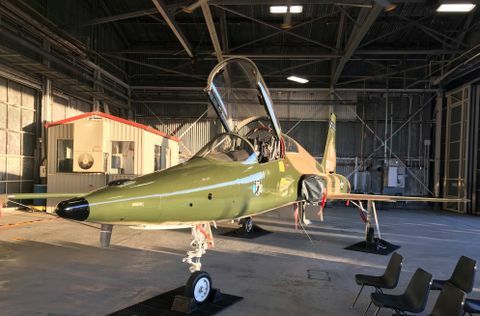 "These two important milestones demonstrate continued program maturity leading us to first flight later this year," said Duke Dufresne, sector vice president and Unmanned Systems general manager. "Our unmanned systems are providing the U.S. Navy and other customers with affordable, combat-proven high altitude, long endurance intelligence, surveillance and reconnaissance solutions." Over the next several months, testing of the MFAS radar will be broken down into three phases; radar integration, mode integration and refinement, and data collection. Each phase tests the various capabilities and modes of the radar that will be used by the Navy to provide a persistent common picture of the maritime surface traffic. "The MFAS sensor is the first radar system to provide full 360-degree persistent coverage of both open oceans and littoral regions from extremely long ranges," said Paul "Buz" Kalafos, vice president of Surveillance Systems. "The MFAS radar sensor will set the standard in maritime surveillance." The MFAS sensor operates with a rotating sensor that incorporates electronic scanning and provides mode agility to switch between various surveillance methods. These include maritime-surface-search (MSS) mode for tracking maritime targets and inverse-synthetic-aperture radar (ISAR) mode for classifying ships. Image-while-scan capability is used to interleave very short duration ISAR functions (ISAR snapshot and high- range resolution) during MSS scans. Two synthetic aperture radar (SAR) modes are used for ground searches; spot SAR for images of the ground and stationary targets and strip SAR for images along a fixed line. 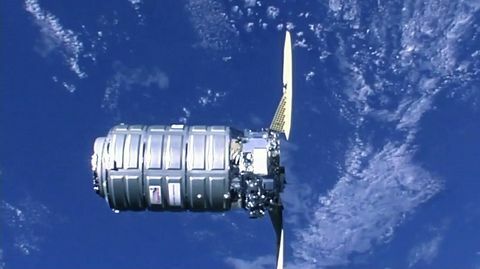 Once targets are detected by MFAS, the data is sent to ground station units in the form of tracks, single frame snap shots, as well as high resolution snapshots while still maintaining 360 degree coverage. Currently, BAMS-D (demonstrator), a Block 10 RQ-4 version of the aircraft equipped with maritime sensors, is being used by the U.S. Navy in the U.S. Central Command area of responsibility, providing just a glimpse of the full persistent capabilities the MQ-4C MFAS radar will bring to the service's Maritime Patrol Reconnaissance Force.